More than 275 million commuters used Dubai’s public transport services during the first half of 2017, according to the latest statistics from the Dubai Roads and Transport Authority (RTA). This compares to 273 million commuters in 2016 with the range of public transport options including the Dubai Metro, Dubai Tram, public buses, marine transit modes (abra, ferry, water taxi, water bus) and taxicabs (Dubai Taxi and franchise companies). 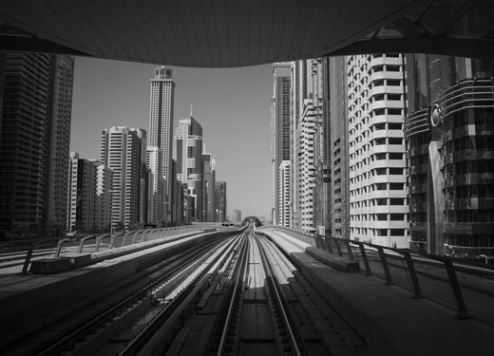 Dubai Metro, which did not exist until 2009, accounted for the biggest share of users with 36.4 percent, followed by taxis (31.7 percent) and public buses (28 percent). The Red and Green lines of the Dubai Metro transported 100.558 million travellers in the first half of this year, up from 96.486 million in H1 2016. Meanwhile, the Dubai Tram carried 3.087 million commuters compared to 2.535 million during the same period last year. The number of passengers using Dubai’s public buses hit 77.69 million during H1, 2017 versus 69.92 million users in H1, 2016. Marine transit modes, which have become increasingly popular since the new US$545 million Dubai Water Canal project launched late last year, transported 6.638 million passengers between January to July, while taxis carried 87.79 million passengers during the period. “The public transport means have now become the backbone of people mobility in various parts of Dubai, and the preferred transit option for a huge segment of Dubai residents and visitors,” says Mattar Al Al Tayer, director general and chairman of the RTA. Looking ahead, the RTA is aiming to increase the share of public transport (metro, tram, buses, and water transport) to 20 percent by 2020, and 30 percent by 2030. “The strategic and executive plans for roads and transport systems are based on the principle of integrated services in terms of improving and broadening road networks and crossings, and upgrading various components of mass transit systems such as the metro, tram, buses and water transport means,” explains Al Tayer. The RTA’s approach to driving up public transport usage is multi-faceted, but with Dubai Metro attracting the largest share of passengers, it’s a core focus for development. Investment is currently being pumped into the Route 2020 Project, an extension of Dubai Metro’s Red Line from Nakheel Harbour and Tower station to the Expo 2020 Dubai site in Dubai South. The extension will stretch for 15km, of which 11.8km will be elevated track and 3.2km will consist of underground tunnels. It will have seven stations, including an interchange station, one station at the Expo site, featuring aeroplane wing-shaped structures, three elevated stations and two underground stations. When completed, the Route 2020 Project will provide transport for many of the 25 million visitors expected to attend Expo 2020 Dubai between October 2020 and April 2021. Dubai Tram is also set for growth with phase two of the Dubai Tram project, which will extend the line up to 5km covering more iconic destinations such as Burj Al Arab, Madinat Jumeirah and Mall of the Emirates. The RTA’s master plan also includes a third-phase extension that is likely to run along Jumeirah Beach Road all the way to 2nd December Street intersection. Metro and tram extensions aside, the introduction of new transport modes is also central to the RTA’s plans to attract more passengers to public transport, and it involves the roll out of some leading-edge technology including autonomous buses, taxis and even air taxis, all of which are being piloted and on track for launch by the end of the decade. This futuristic mode of transport involves using magnets to levitate pods inside an airless tube, creating conditions in which the floating pods shuttle people and cargo at speeds of up to 500mph. Hyperloop One, which is one firm researching how to build such a system, claims that it will transport passengers and cargo from Dubai to Abu Dhabi in as little as 12 minutes. The Hyperloop system is one facet of Dubai’s smart transportation strategy launched last year, which calls for 25 percent of all trips to be smart and driverless by 2030. When fully implemented, the strategy, a joint venture between the RTA and the Dubai Future Foundation, will reduce transportation costs by an estimated 44 percent or $245 million and improve transport sector efficiency by 20 percent, saving $4.9 billion.